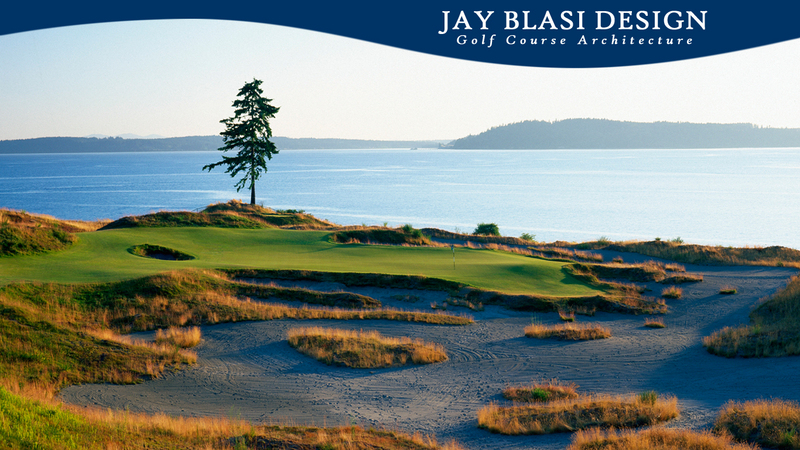 *Jay Blasi was on the Robert Trent Jones II, RTJII design team at Chambers Bay Golf Course. 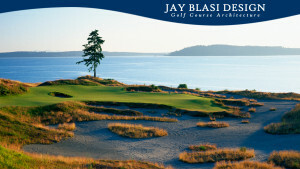 During this episode, Jay Blasi shares his experience working on the design team at Chambers Bay Golf Course, the home of the 2015 U.S. Open. One piece of advice Jay shares about golf course design is to break the rules if there is a compelling reason to do so. Jay Blasi spent his initial years at RTJ II assisting the design team on dozens of projects around the world. His first opportunity to serve as one of the lead architects on a project team came at Chambers Bay, a true links layout on the shores of Puget Sound, in University Place, Washington. Blasi fell in love with the property on his first site visit, and spent the majority of his time on the project from 2004 to 2007. 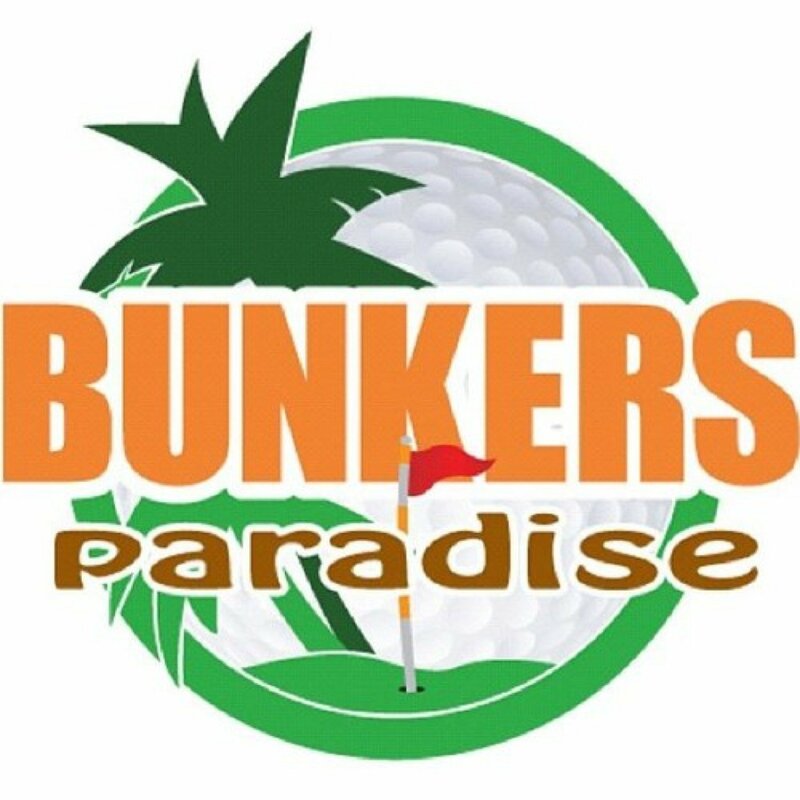 Following its debut in June of 2007, Chambers Bay was named by GOLF Magazine, Golfweek, Travel + Leisure Golf, and Golf Inc. as the number one golf course to open that year. 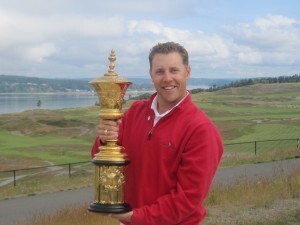 In February of 2008, the USGA awarded Chambers Bay the 2010 U.S. Amateur Championship and the 2015 U.S Open Championship, making it the first course built since the 1960s to receive the latter honor. The announcement also made the RTJ II team the only living architects to have designed a U.S. Open course. Jay says he deals with others in a variety of different ways, he draws plans, communicates and works with others on developing a game plan to create a golf course. 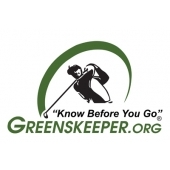 This entry was posted in Uncategorized and tagged 2015 U.S. Open, 2015 United States Open, Chamber's Bay Golf Course, Golf Course, Golf Inc., Golf Magazine, Golfweek, Jay Blasi, Puget Sound, Travel + Leisure Golf, U.S. Amateur Championship, USGA, Washington on June 9, 2015 by Zeb Welborn. 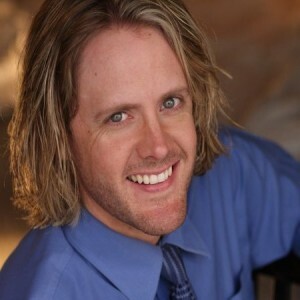 Travis Cody is the author of the book Cure Overwhelm Now where he talks about his experience with technology obsession and removing himself from all technological devices for 30 days. He talks about all the different ways that we are being overwhelmed. These technological devices are taking up and absorbing too much of our energy, time, and they are causing us a lot of stress. Travis Cody’s greatest joy in life is showing stressed out, overwhelmed people how to find the time to actually live their lives and pursue their dreams. He is the creator of The Overwhelm Cure. After surviving his 30 Day experiment without modern technological devices, he now shows others how to live a life they love. I had a great time talking to Travis today. Travis is very excitable. I really liked all the stuff he was saying and how he was able to break his technology obsession and take himself away from all those technological devices for 30 days. I know there’s no way currently that I could make that happen although it does sound pretty appealing. To be able to break away, especially in this fast paced world that we live in. When I’m doing internet marketing, I’m managing it for a variety of different businesses so I’m always posting and responding to Facebook posts and Twitter posts. I have to be pretty active and present there, it does become very overwhelming. I can definitely see the value in wanting to break away from that for a while. Travis brought up the point that we need to set time aside to unplug from our mobile devices and just take a step away. Do things we would normally do without being attached to our smart phones. He brought up the point that, talking with teenagers, if you take away a phone or other device from a teenage they go berserk because nowadays people are just attached to these devices. When I was younger, I’m 33 years old now, you didn’t have a cell phone, you didn’t have this technology that you carried around with you. Now it is completely different. I think that technology is going to be more and more incorporated in our lives. I think technology is great. I’m a big advocate of technology, especially in cases where we are using it in social interactions and creating new connections. Technology obsession, dependency is one thing and using it to have an impact, make a difference is another. I think sometimes people fall into the dependency state of having these mobile devices and not so much using them to impact the world to make the world a better place. As a society we need to realize our technology obsession, come together and educate others on the difference between using these devices in an appropriate way and in an inappropriate way. I’m just as guilty of this as much as anyone else. If you go out to a restaurant you see half the people there on their mobile phone not talking with other people, not engaging with their surroundings. That’s one of the downsides of this technology and it’s something we need to be conscious of. It is also important to step away because it does help clear your mind. When you have all these things bombarding you: messages, beeping, phone calls, and all that stuff, it is important to step away. De-stress, clear your mind so that when you do go back to work you are more focused, more determined and you will have a larger chance at success, a larger chance to do something worthwhile. It was a blast talking with Travis today. 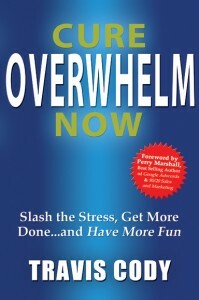 Visit CureOverwhelmNow.com and find his book at bookstores. 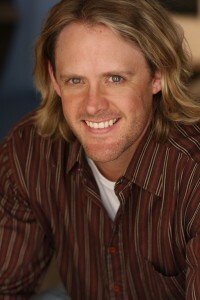 After college Travis Cody moved to LA and did some work in the film industry. Worked at Universal Studios before doing development work and writing for producer Jonathan Crane. He did that for about 10 years. Then his first book came out and he had a little success there. That’s when he branched out and started doing independent production and writing on his own. He has a couple best-selling books and is currently working on a documentary. The first book was Celebrity Rules(! ), it was a humor book making fun of celebrity culture. The idea for Cure Overwhelm Now came from an experiment he did on himself. When he was still working with Jonathan Crane he was maxed out capacity wise. It didn’t matter how much time he put in in the office or at home, in fact, it seemed like the harder he worked the further behind he got. He was at a seminar, the speaker started talking about this concept of pattern interrupt. Which is when you are in one of those moments, the flow state. If there is ever something where you are engaged in it and you just sort of lose all sense of time and things are just going, that’s the flow. When something happens to interrupt that, you lose that flow state and getting back to that point is really difficult. That whole concept of the interruption causing him to be less productive. He started to monitor himself. He started to make a mark every time he reached for his cell phone. After a couple hours he was surprised with how many marks he made. What he realized was that it wasn’t that he was stressed and didn’t have enough time, it was that he was allowing these cool gadgets take over. He turned off the ringer on his phone and his productivity went way up. At that time he had a project fall through and was going to have some downtime for about 5 weeks. He decided to do it. He turned off his cell phone, computer, internet, TV, radio and Xbox. He wanted to find out if someone could function in today’s society, especially in a place like Los Angeles, with nothing other that a landline. It ended up being a hugely transformative month for him. He did a lot of research on technology obsession and addiction and about the neuroscience of what our interaction with Google and our cell phone is doing physically in the way that we process our information. Six months later he ran into a publisher who had heard about the experience and offered Travis a book deal. That’s how the book came about. 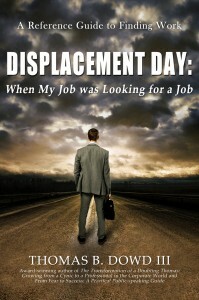 The book is a day-by-day diary so you can see what is going through his head in the moment. Then there is the looking back on it with what he knows now and how does that reflect on the experience he had. Then there is a lot of research in there to validate the points that he’s making. 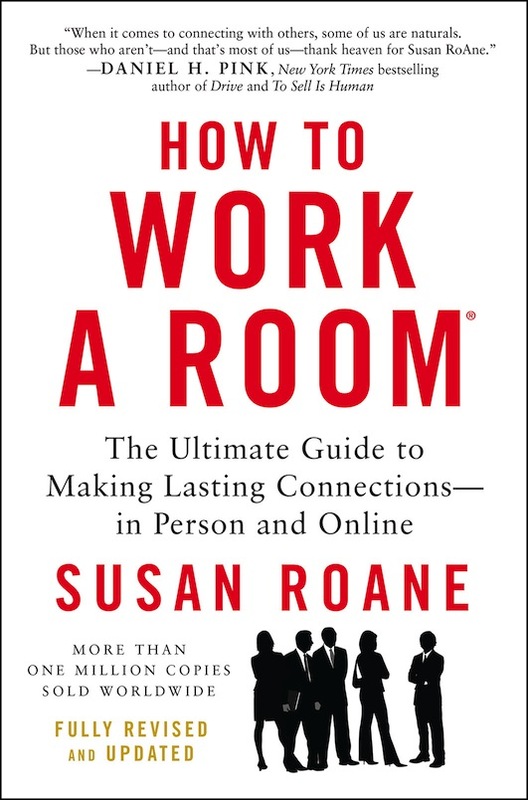 Most people could get rid of most of their stress if they would just learn how to manage their technology, particularly their cell phones, Facebook, and email. He shares, going back to my Celebrity Rules book, there’s this weird thing about if you are a celebrity we feel like we own you. Now with cell phones people really kind of feel like, if I text you, you owe me a response immediately. 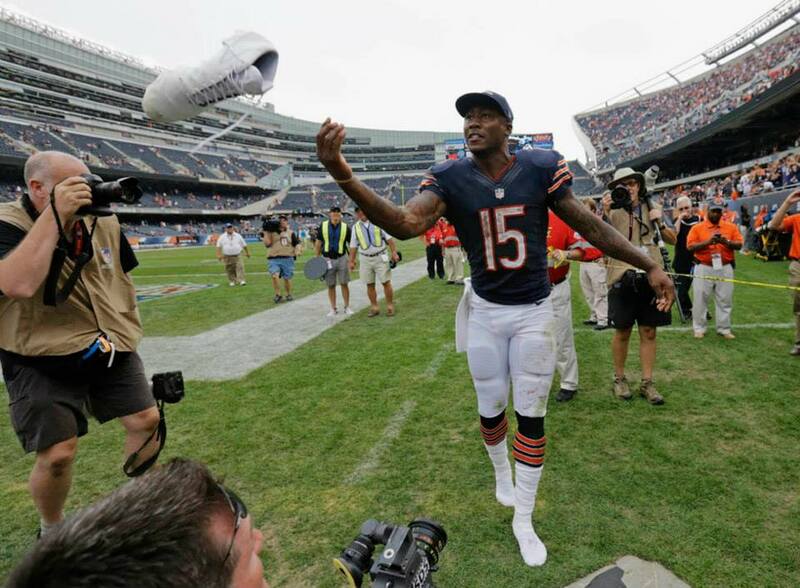 In some weird way it’s like, this ownership– I’m owning your time right now. Same with email: if you don’t email me back within an hour that means you hate me. It’s ridiculous, but that is what I am finding with a lot of people. When I unplugged everything the most difficult thing to get out of was having the cell phone. The first few days of getting in my car and driving around I felt so awkward and weird because I just didn’t have a phone on me. One of the experiences Travis remembers is dinner with his friends. They would get together every Monday. Their first dinner after Travis cut off his technology his friends said they noticed that his energy had changed, they said that he was just so zenned out. It shocked Travis, it had only been three days, the only thing he changed was taking away the technology and everyone noticed a difference in him. He says, I saw more of the city of Los Angeles in 30 days than I had in the entire 15 years I’ve lived here. I ended up being more social. I actually made more new friends in 30 days than I had the previous 4 years. He bumped into a neighbor, found out they were an opera singer, got invited to a performance. He met a few of her friends and expanded his social circle with 6 new people. He stumbled upon a Japanese garden and found a crazy weird motorcycle event going on people were doing tricks in the parking lot. After some time he came up with a system in his own personal life so that it wasn’t completely overwhelming. That’s what led to the principles in his book. Don’t sleep with your cell phone next to your bed. Leave it in another room or across the room. Don’t check your email/facebook/texts first thing in the morning. Travis encourages you not to check your phone or email until you get to the office if you can. Or wait two hours after you wake up. Set up a specific time to check email one or two hours a day. Those two things will minimize the amount of stress you are feeling in life. You will be more productive, you will have more free time. The first thing someone with a technology obsession should do is move your phone across the room when you are asleep. Then progress from there to where you are not checking anything the first few hours of the day and the last hour before you go to bed. One of the more advanced techniques that Travis sometimes recommends is a Technology fast. Where you choose, even if it’s just for a few hours, to turn everything completely off. When he asked a professor what the biggest difference in his students was over the last 15 years the professor said that his students didn’t know how to daydream. The are constantly distracted by technology. To solve problems you need to show some creativity and we are creating a generation of people who don’t know how to daydream. He says, it has scary implications for the future. For me success is having a life where I am able to do the things that I love and enjoy to do when I want to do them without the pressures of worrying about where is the money coming from or is there someone I have to answer to. This entry was posted in Uncategorized and tagged Cure Overwhelm Now, Facebook Course, Overcome Technology Obsession, Technology Obsession, Travis Cody on July 25, 2014 by Admin. Chris Carlson has done photography in more than 40 different countries covering some of the world’s greatest sporting and political events. He’s been involved in the business a long time but attributes his consistency and reliability to be one of the keys to his success. 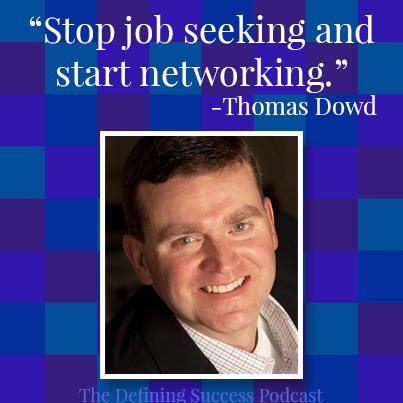 Learn how to just show up in Episode 49 of the Defining Success Podcast. 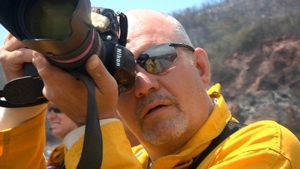 Chris Carlson has been a staff photographer at the AP in Southern California for the past 6 years, Prior to that, he has been on the staff of the Orange County Register where he shared a Pulitzer Prize for coverage. 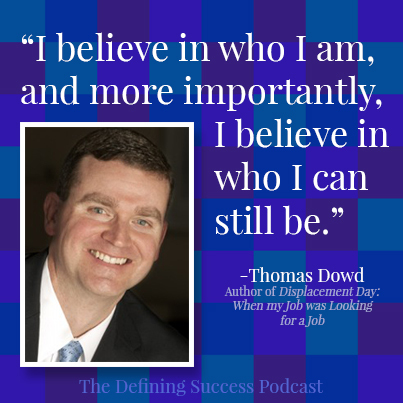 During his career, he has been on assignment in over 40 countries. Chris’s family was in the newspaper business. Early on he realized his spelling was so bad that the only way he could stay in the newspaper business was by becoming a photographer. Like any field you get into, you have to hone your craft. Chris was very lucky to work with people who were very skilled. Many people took Chris under his wing and helped develop him into a world class photographer. When Chris started in photography, there was a huge delay between the time he took a picture and the time he had it developed. In some cases it was several hours. Now, photographers know very quickly whether or not they have shot something great or not and they have the ability to take more if they are not happy with what they’ve shot. Twenty years ago photographers were not as lucky because if they took bad shots, they would not be able to recognize this until hours later and in some cases this meant the opportunity was gone for good. In photojournalism, they have deadlines and now the deadlines have sped up excessively. One thing that Chris thinks many people in photography may not realize is the way that professional photographers are able to effectively use lighting to create a better picture. The average person would be able to look at a picture and say it’s beautiful, but the professional photographer would be able to understand why the picture looks beautiful. A good photographer can take any situation and make it look like it was shot with photo studio lighting. Some people get into journalism because they want to get into the world. Chris got into journalism because he wanted to see the world. Being a photographer has given Chris the opportunity to see how the world has unfolded before him. One of the best assignments Chris ever had was the 2007 U.S. Open where Tiger Woods won in a 19 hole playoff and watching him make a put on the 18th hole to force a playoff was probably the most exciting thing he had ever seen. Watching the crowd react and watching Tiger’s reaction and seeing how competitive that day was was amazing. And he felt very fortunate that photography was the vehicle that gave him the opportunity to witness the experience in person. A lot of pressure comes from being a photographer. Chris works hard to capture special moments, but sometimes many factors can contribute to the missing of a moment which can be lost and gone forever if he doesn’t capture it as it’s happening. The stress of capturing these events can be a burden. Over time the stress of having to capture that one moment can weigh on you a bit. Chris attributes his success to luck, good decisions, hard work and sometimes, no matter how hard you try, something happens that you couldn’t plan for and in his case he feels very lucky. Somebody once told Chris that a key to success is just showing up. If you show up and do work you’re already ahead of your competition. He looks at his colleagues that are very successful, he sees that it’s because they have a very strong work ethic. One of the biggest mistake Chris has made was that he didn’t know if he enjoyed it enough in his time. He wonders if when he retires if he’s going to say that he enjoyed it enough while he was doing it. 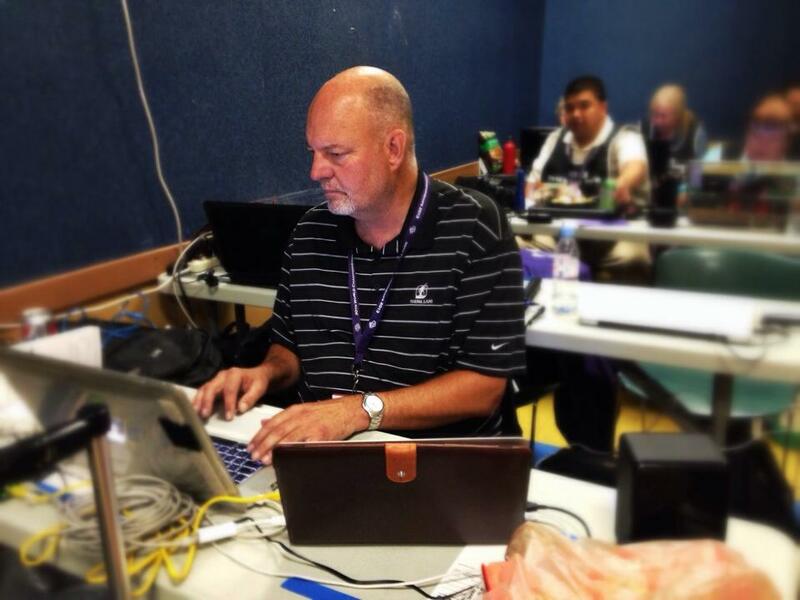 Working at the Associated Press, Chris feels fortunate that they cover big stories and the one event Chris wants to go to that he hasn’t yet is the Masters Golf Tournament. 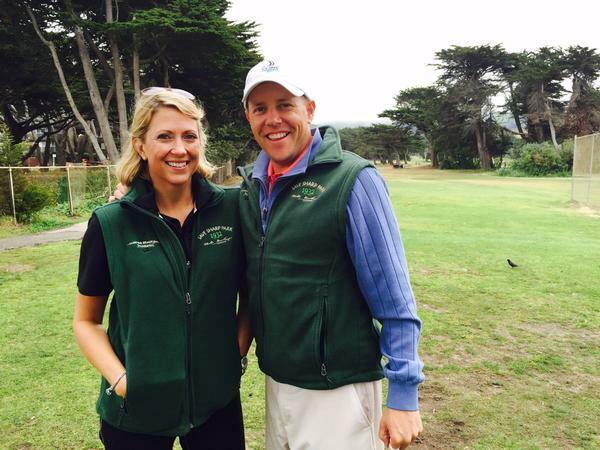 Every year Chris covers the Kraft-Nabisco women’s golf tournament events which conflicts with the Masters, but he hopes he can make it to the Masters. Chris has done countless brush fires, earthquakes, civil unrest. He was on the presidential campaign with President Obama and he’s done the Iowa Caucus and recommends that if anyone has an interest in politics that they should visit Iowa during that time because they are all very knowledgeable about politics. If you’re interested in becoming a photographer you need to decide what kind of photography you’d like to do and then position yourself to be able to do that. Sometimes it means starting at the high school level and hone your skills to build up to the big time. Photography is incredibly competitive and in order to be successful you must love photography and if you have a good work-ethic, you’ll have a chance to be a good photographer. When they started introducing digital cameras, your competition grew and the ability to make a living in photography is a lot tougher than it used to be. What does it take to make a great picture? How important do you think being reliable is to business? Would people say you just show up? 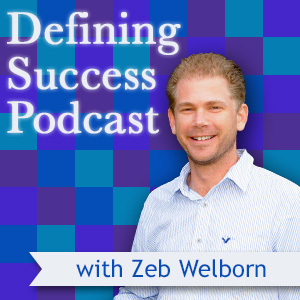 Engage with us on Facebook, Twitter and leave reviews on the Defining Success Podcast in iTunes. This entry was posted in Episode 049: Just Show Up! | Photographer Chris Carlson from the Associated Press, Uncategorized and tagged AP, AP Images, Associated Press, Chris Carlson, Defining Success Podcast, Facebook, Golf, International Center for Photography, Iowa Caucus, Journalism, Lens Blog, Masters, MSNBC Pictures of the Week, New York Times, Orange County Register, Photographer, President Obama, Pulitzer Prize, Southern California, Tiger Woods, Twitter, U.S. Open on November 5, 2013 by Zeb Welborn. Honored to have been chosen to be a speaker at the Shark Boot Camp Event being held this Saturday, November 9 in Newport Beach. Because I have interviewed several of the entrepreneurs who have appeared on the Shark Tank I’ll be on a panel where we’ll discuss how entrepreneurs can utilize bloggers, podcasters and bloggers to help promote their business. 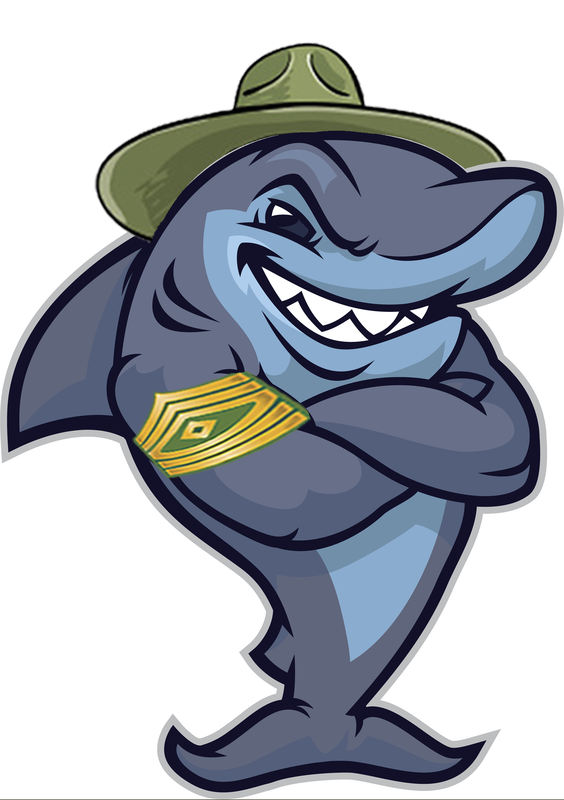 Because I’ll be presenting, I have the opportunity to offer discounted pricing for this Shark Boot Camp Event. If you’re interested in attending for half-price please visit Zeb Welborn’s Shark Boot Camp Half-Priced Tickets. The hit TV show has created overnight success and new ventures along with provided REAL LIFE learning for business owners. Shark Tank, one of the most popular and successful reality television shows over the past four years, has been a launch pad for almost 250 new or expanding businesses. Season five recently started with some new combinations of Sharks on the panel joining the feeding frenzy. On Saturday, November 9, from 9:00am till 5:00pm the largest gathering of alumni will share their experiences of being on the show and becoming an “overnight success.” This will be the second reunion held in Orange County and a sell out crowd is expected. The TV panel of Sharks, all with a net worth in excess of $100 million, team with small to medium sized businesses that are seeking capital or strategic partnerships. This local all-day Boot Camp will provide panel discussion with alumni from the show along with individual presentations on what “worked”, what didn’t work, ideas of how to get on the show and getting picked (a Special Report of those tips is available at www.sharkbootcamp.com), plus presentations on guerilla marketing, social media and working with blogs. A real-world pitch session will be presented to real-world investors and the audience will be able to critique and learn from the contestants. Local celebrity contestants including Shelly Ehler with ShowNo towels (www.showno.com), who will speak about the lessons learned both in businesses as well as life. 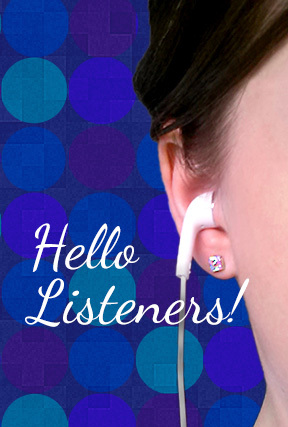 Shelly’s “pitch” has been aired five times, and has been one of their most popular segments. The all day admission fee is $97 and VIP packages are available for $147 which include personal one on one conversations and coaching from the alumni as well as a MasterMind lunch session. A portion of all registration fees will be shared with the Special Olympics in Orange County. The location will be at the Balboa Bay Club on Pacific Coast Highway in Newport Beach. 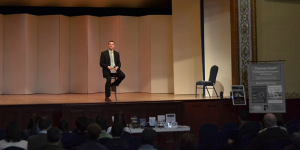 For more information about me and the speaking engagement, please visit the Speakers Page for the Shark Boot Camp Event and for half-priced tickets, please visit Zeb Welborn’s Shark Boot Camp Half-Priced Tickets. This entry was posted in Uncategorized on November 3, 2013 by Zeb Welborn. 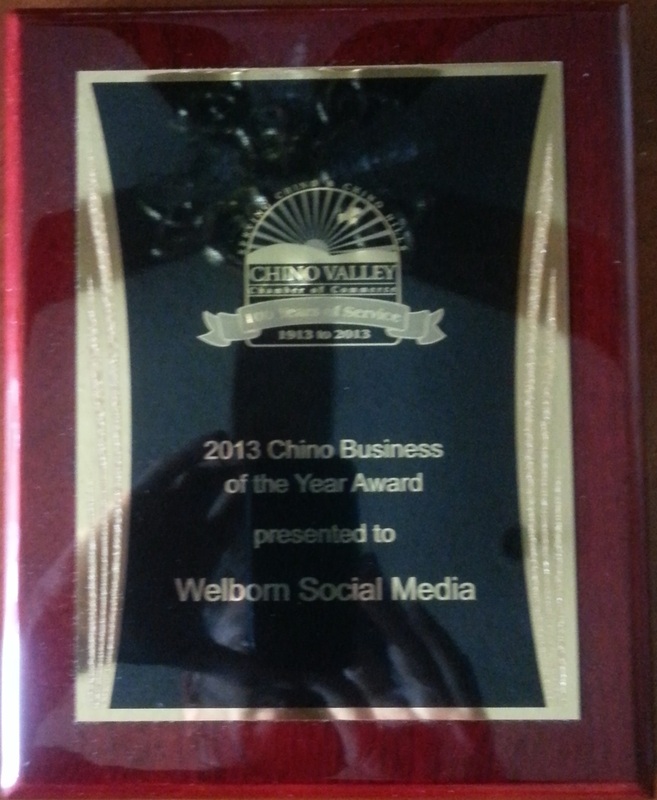 On Friday, June 28 the Chino Valley Chamber of Commerce held its annual Installation & Awards Dinner at the Planes of Fame Museum in Chino, CA where they named Welborn Social Media the 2013 Chino Business of the Year. 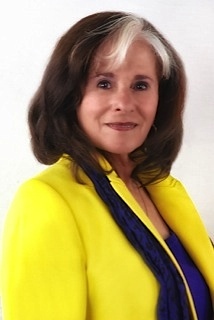 Debbie Mitsch, the newly sworn in Chairman of the Board began the announcement, “The 2013 Chino Business of the Year was founded in 2011 and is very big in the social media world.” She went on to award Welborn Social Media as the Chino Business of the Year. Lacey and I were completely surprised at being named the 2013 Chino Business of the Year and feel very fortunate that we were nominated and chosen by people and businesses that we respect and admire. 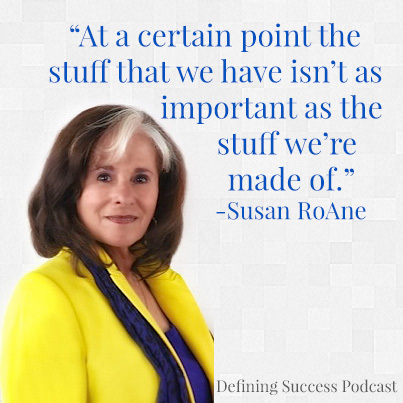 The Defining Success Podcast has really given us the opportunity to help our community and reach out to individuals and businesses who are doing great things. Although we have won this award we still want to work hard to make a difference and impact the lives of others. 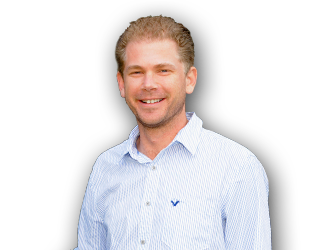 We do this by helping business owners share the passion they have for their business with as many people as possible using the tools of the Internet. Upon receiving such an honor, more than anything, I feel thankful for everyone who has been involved with us along the way. We have worked hard in our business to provide the best service for our customers, but know deep down that it wouldn’t have been possible without the help of so many. Find out all about the experience here. Don’t hesitate to contact me if you have any questions about the Defining Success Podcast or Welborn Social Media – Share Your Passion. Grow Your Business. This entry was posted in Uncategorized and tagged 2013 Chino Business of the Year, Business, Chairman of the Board, Chino, Chino Business of the Year, Chino Valley Chamber of Commerce, Defining Success Podcast, Grow Your Business, Lacey Welborn, Planes of Fame Museum, Share Your Passion, Welborn Social Media on July 5, 2013 by Zeb Welborn.